Yacht crew Turkey is providing professional yacht crew since 1996 and serving captains and yacht owners to work with reliable yacht crew for their private or commercial yachts. we work with honest and hardworking yacht crew, such as Captain, chief officer, Engineer, chef, deckhands, housekeeper, maid, steward and stewardesses who are and professionaly trained to avoid unpleasant presence of inadecuate yacht crew in turkey onboard. 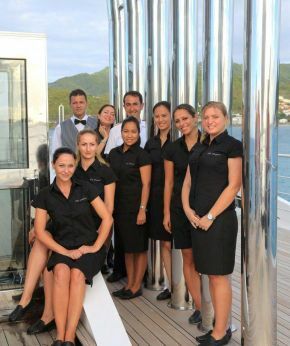 We make sure that you donot have to worry about looking for a Captain, engineer, chef steward, deckhand, steward, stewardess, housekeepers. We also provide experienced yacht delivery crew all around the world. our green reference is given to only most reliable and hardworking yacht crew, since we are insiders of the industry and we know the yacht crew personally , if you are looking for Professional and reliable yacht crew in Turkey please contact us via email. yacht crew Turkey Qualifications and certificates which every yacht crew need is Standards of Training, Certification and Watchkeeping (stcw 98 or higher ) is a must for making a career in yachting industry and The yacht crew Turkey simply cannot be hired without the adecuate certification and licenses.